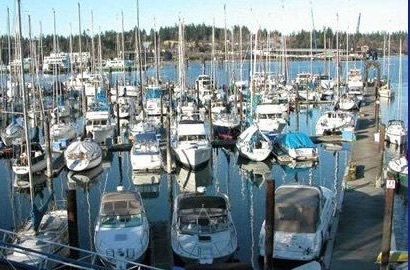 Bremerton Marina crept closer to full occupancy this summer. Boats filled 187 of 221 permanent moorage slips in the downtown marina in July, up from 164 in July of 2015, and 88 back in 2012. July and August are peak months for the facility. 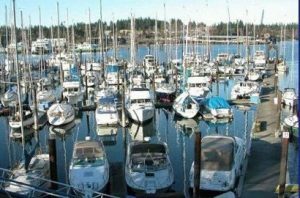 Marina marketing consultant Bob Wise told Port of Bremerton commissioners Tuesday that the port’s “two-for-one” moorage discount continues to reel in boaters. The deal allows tenants to pay moorage every other month, if they agree to a two-year contract. The port rolled out the discount in 2013, and offered it again at the Seattle Boat Show in January. That resulted in 31 new leases, Wise said. Most tenants are sticking around to sign full-rate contracts after their two-year discounts expire. The retainment rate for boaters attracted by the two-for-one deal is about 70 percent, Wise said. The discount “gives us an opportunity to showcase what we have to offer,” he said. More downtown activity is also helping draw attention to the marina. A revamped Rock the Dock concert series drew large crowds this summer (the last concert of the season is Saturday). 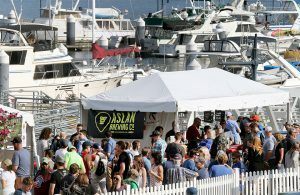 Brewfest and the Harbor Festival are popular with boaters. The port continues to aggressively plug the marina on social media, in magazine ads, and at boat shows. Revenue has increased as slips filled up, but the facility is still far from breaking even. It’s hard to beat boat sales as an indicator of luxury spending. Boats are typically expensive to buy, expensive to maintain, and expensive to use. In short, owning a boat is a great way to dispose of disposable income. With the exception of live-aboards, maritime professionals and remote island dwellers, very few boat owners can claim to really need their boats. Like sales of many other luxury goods, boat sales took a dive during the recession. Droves of underwater boat owners literally walked away from their vessels. Now the boating industry is rising from the depths. Boat sales seemed to turn a corner in 2013, as I noted in a story a couple of springs ago. Sales continued to grow during the past two years, likely buoyed by the improving economy, falling gas prices and long, hot summers. 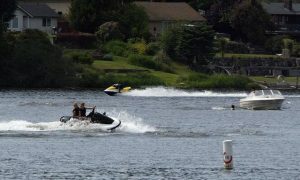 Puget Sound Business Journal reported this week that more than a quarter of Washington households own a boat, and sales in the state jumped 24 percent in 2015. We don’t have access to boat sales as a dollar amount here in Kitsap, but we do know how many vessels were sold to people who keep their boats in the county, thanks to data from Washington Sea Grant and the Northwest Marine Trade Association. By their count, total boat sales for Kitsap increased 21 percent between 2010 (when activity bottomed out) and 2015. The rebound of new boats sales was more dramatic, jumping 102 percent over the same period. New vessels accounted for 12 percent of Kitsap boat sales in 2015. The data include all power boats and sailboats with titles (so no kayaks or paddle boards). 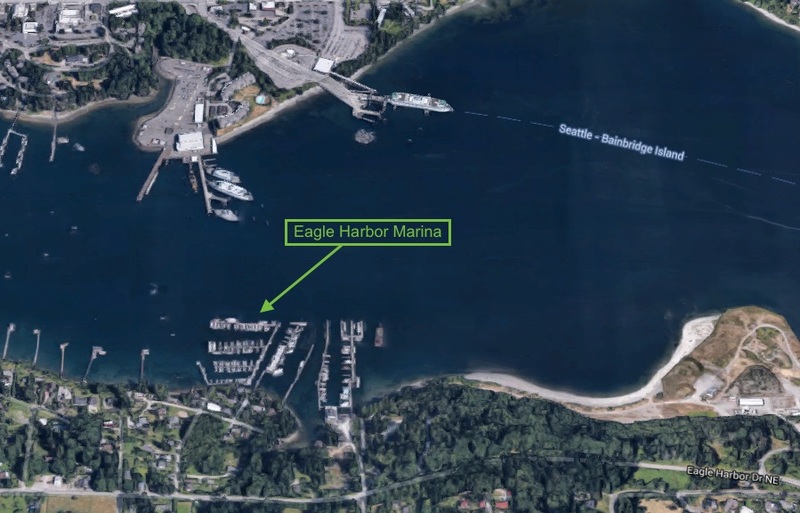 A new owner has acquired majority interest in Bainbridge Island’s Eagle Harbor Marina, and plans a major rebuild. The new owner of the 105-slip marina is Eagle Harbor Partners, LLP, headed by islander Bob Wise. Wise said the popular facility was built in 1980 and needs some work. The overhaul will include new docks, pilings, electrical hardware, Wi-Fi and in-slip pump out, along with an upgraded security system. Wise said the work will be completed this winter. Slips at the marina range from 30 feet to 90 feet. The onshore property includes bathrooms, showers, laundry storage and a 50-stall parking lot. 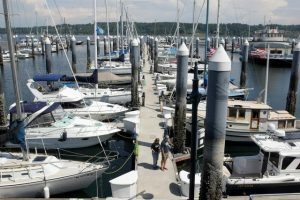 Separately, Wise owns the Home Port Marina in Brinnon, and Port Hadlock Marina. He’s the director of the Recreational Boaters Association of Washington and member of a number of other boating association. Wise also serves a marina marketing consultant for the Port of Bremerton. If the early onset of summer weather had you salivating over the “boats” section of Craigslist last spring, you definitely weren’t alone. Kitsap residents went on a bit of a boat buying spree in the second quarter of the year. A total of 717 vessels sold to buyers with moorage in Kitsap County, according to numbers posted by Washington Sea Grant. That was a 14 percent increase from the same period of 2014, and a 31 percent jump from five years ago. As you can see from the chart, more county residents are springing for new boats, which is good news for local dealerships, hit hard during the recession. A number factors are likely propelling the recent surge in boat sales, including the improving economy, relatively low fuel prices and, of course, the sunshine.